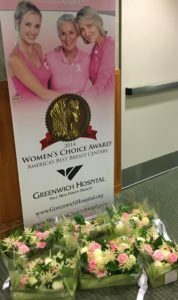 The Junior L eague of Greenwich prepared nearly 50 floral arrangements for breast cancer patients at Greenwich Hospital. 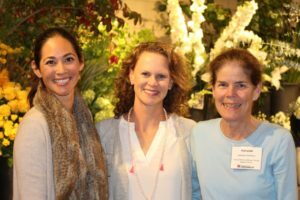 October has become synonymous with Breast Cancer Awareness month and Junior League members gathered together at McArdle’s Florist and Garden Center on October 12th to help make the day a little brighter for breast cancer patients at Greenwich Hospital. 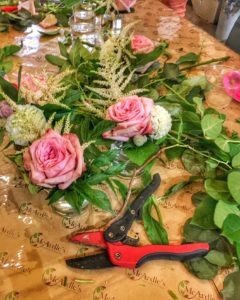 A floral artist with McArdle’s provided the group of women with design tips to create the beautiful pink and white arrangements. The arrangements were delivered on October 13th by Junior League of Greenwich members. 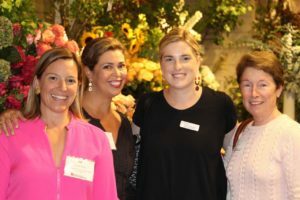 In true Junior League fashion, the JLG identified a need in the community and formed the Young Women’s Breast Cancer Support Group in 2015. 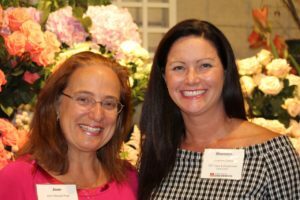 The peer-to-peer style support group is the first and only support group of its kind in Fairfield County designed specifically for young women diagnosed with breast cancer in their 20’s, 30’s, and 40’s. Young Women’s Breast Cancer Support Group meetings are free and open to all young women diagnosed with breast cancer regardless of where they are in their journey. Meetings are held on the first Wednesday of every month at 7:30pm at JLG Headquarters (231 East Putnam, Greenwich, CT). Click HERE for more information.